Eggs are white and banana-shaped, about 1 mm long. Mature larvae are creamy-white, legless, 7 to 9 mm long, and the body tapers from a blunt rear end. Pupae are reddish-brown, cylindrical with rounded ends, and 4 to 6 mm. Pupation usually occurs in the soil. Adults are slightly smaller than a housefly, about 3 to 5 mm in length, yellowish orange-brown in colour, with some orange-brown markings on the wings. The eyes are reddish purple with a green fluorescence. 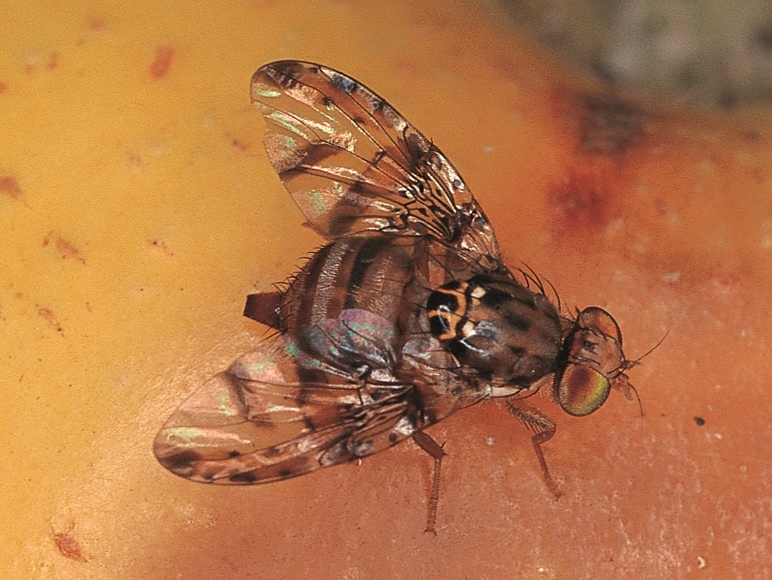 Immature stages are very similar to Medfly, but slightly larger. The adult is about the size of a housefly, up to 8 mm in length, and more brown than Medfly. The eyes are reddish purple, usually with a blue fluorescence. The male has black ‘feathering’ on the lower end of the middle legs. 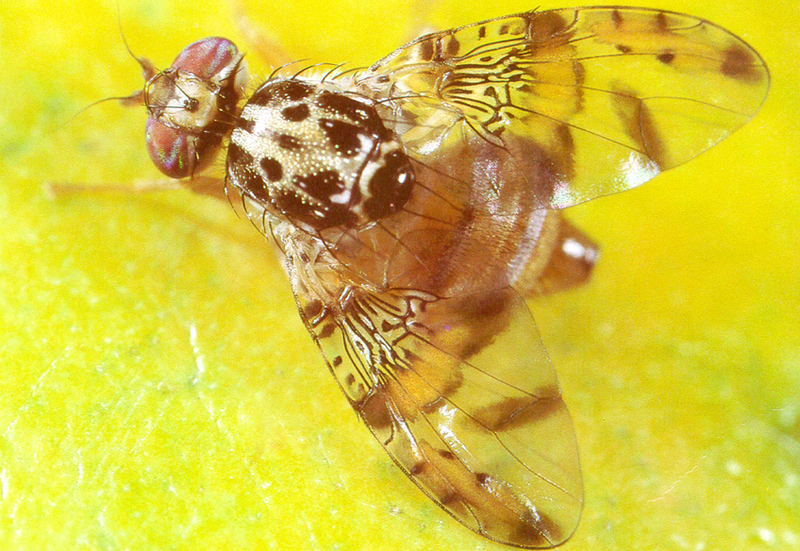 As in Medfly, wings are also patterned but wing bands are brown and generally darker than on Medfly.